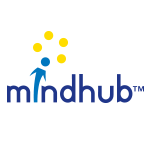 Mindhub Blog: Cyber Week Savings! Cyber Week is here! From Black Friday through November 30th, SAVE 40% on all MeasureUp IT Certification Practice Tests. That’s right: you have a whole week to get a huge discount on your IT certification prep materials. Use Code: CYBER40. Shop now and save big on MeasureUp Practice Tests to help you get exam ready.